Now offering makeup lessons, both one to one and group lessons. Makeup lessons last up to two hours. Within this time I will be covering a natural daytime look and building this up to a full glam evening makeup, the correct coverage for your skin to creating the desired look, the colours that suit your skin tone and eyes and the correct way of applying make up so that it lasts! 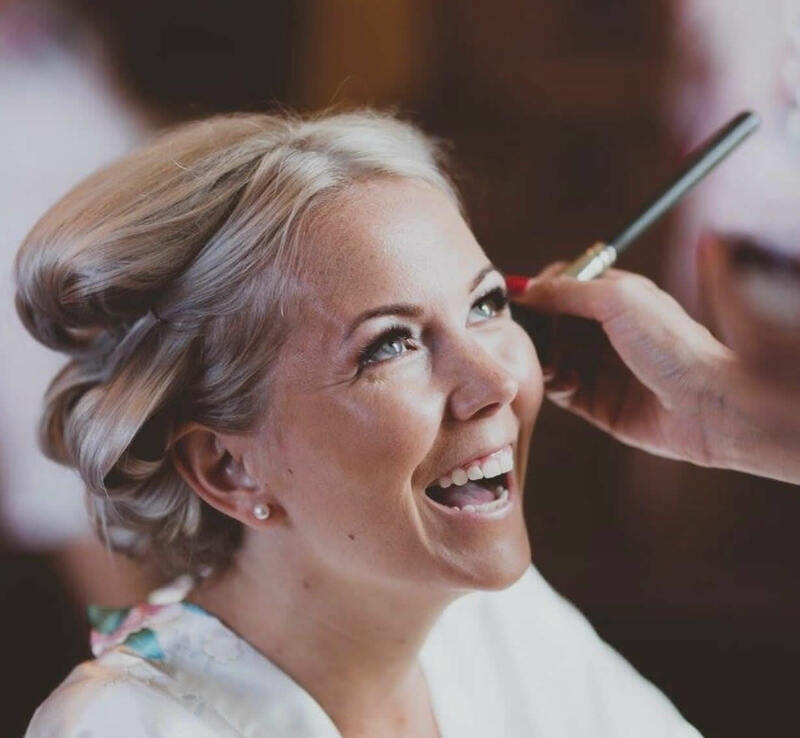 Choosing the right hair and make up artist for you can be a huge part of planning your wedding! It’s really important that you feel comfortable around this person and that they do a great job. It's equally important that your hair and make up stays in place the whole day... And night! Hair and make up is something you shouldn’t have to worry about when it comes to your wedding day. Professional hair stylists and make up artists will find out what skin type you have and will then tailor the products to suit you by using mattifying primers if you have oily skin, and hydrating primers if you have drier skin.I tend to use oil free foundations on my brides such as Kat Von D, Estée Lauder and sometimes MAC. I find they last on the skin a lot longer and even if you have dry or dehydrated skin, if it’s prepped well, you won’t notice that it’s oil free. Why is it so important to have a trial when it comes to hair and make up for your big day? Planning a wedding can be the most exciting time of your life but it can also be extremely stressful. There is so much planning that goes into a wedding - Flowers, your cake, favours, location, picking the perfect dress, bridesmaids, photographers, videographers and of course, your hair and make up. Most experienced professional hair and make up artists take bookings a year before your actual wedding. Personally, I don’t secure a bride's actual wedding date until she has had a trial with me and is 100% happy. I will then take a deposit to secure the date and time allowance for each person. It's advisable to book your trial well in advance and you can even arrange to have it on a day that you're already going out. Why not make the most of your hair and makeup?! I have recently started using the ordinary skincare range having been recommended it by fellow Hair and makeup artists I thought I’d give it a go! I have always suffered from breakouts and oily combination skin. I am constantly on the lookout for new products to help better my skin as this is something that can really get you down. I have found that a lot of my clients seem to break out before big events also such as their wedding day, proms and other special occasions.